Tyler wants you to Walk This Way over to iTunes. • • • Restructuring continues at Sony Music Entertainment following Doug Morris joining the company as CEO. A new regime was announced this week for RCA’s pop/rock division, resulting in the exit of about 20 staffers, including numerous VPs, according to Billboard. • • • Hits from Aerosmith’s back catalog will be coming to iTunes, thanks to an agreement between Apple and Columbia Records reported this morning by The New York Post. The deal covers songs from 1973-1987, such as “Walk This Way” and “Sweet Emotion.” They will be released digitally for the first time on Sept. 6. 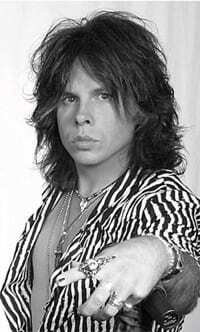 Flamboyant frontman Steven Tyler has given the band’s career a recent resurgence due to his gig on American Idol. Music from The Beatles debuted on iTunes in November 2010 after a long hold-out. Others still fighting the release of individual tracks through the digital giant include Garth Brooks and Kid Rock. • • • Toxicology reports on the late singer Amy Winehouse show no illegal drugs were in her system when she died, but did find alcohol. It is unclear if legally obtained drugs were also found. The report was inconclusive about cause of death. More information is expected in October.